A two nights’ stay for two guests, including breakfast and a dinner for two (wines included) at L’Uliveto Restaurant and a St. Barth Harmony Treatment for two at Cavalieri Grand Spa Club. 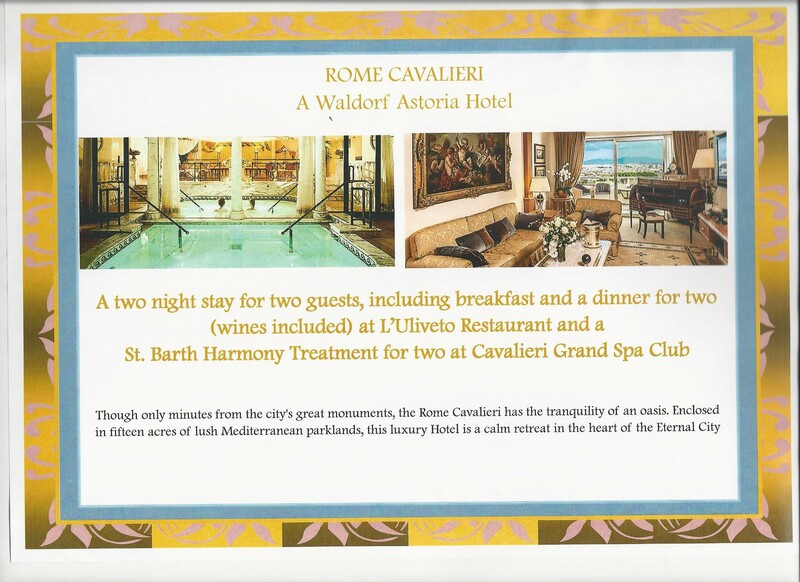 Set high above Rome with panoramic views, The Waldorf Astoria Rome Cavalieri will exceed your expectations time and again. Michelin-star dining, a luxury Spa, and fantastic meetings and events facilities make our resort a prime choice in the heart of the Eternal City.